FOR many cities, a sign of success is how many cranes dot the skyline. Sydney and Melbourne are a sea of cranes as residential and commercial towers shoot up, fuelled by a multi-billion dollar infrastructure boom. But a new report has warned that this very symbol of success could be harming Australia's economy and, with it, a million jobs. 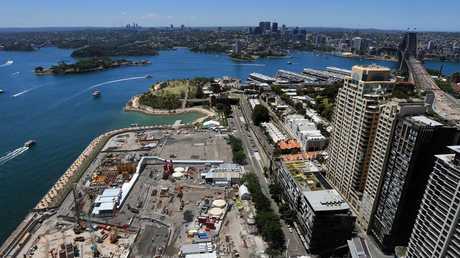 Sydney, in particular, could be heading from a construction boom to a building bust. Research by built asset consultants Arcadis has found Sydney, Melbourne and Brisbane are now some of the most expensive cities to build in worldwide. 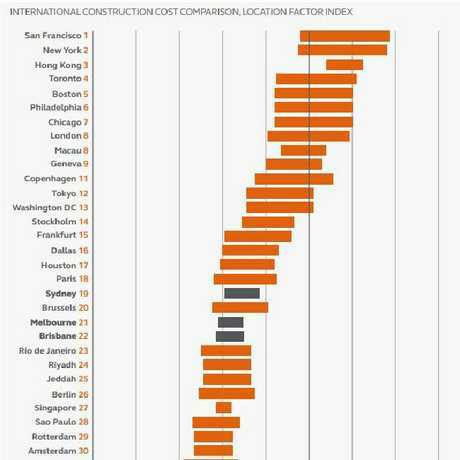 Construction costs in Sydney are the 19th highest in the world making it a more expensive city to build in than Brussels, Berlin or Singapore and only slightly cheaper than Paris. Melbourne comes in at 21 and Brisbane at 22 on the list. 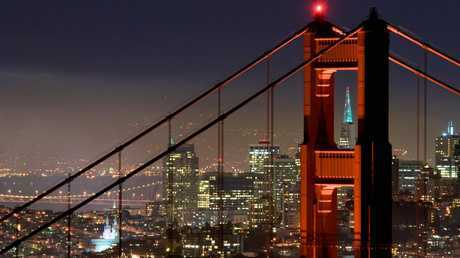 Globally, the most expensive city to build in is San Francisco, followed by New York, Hong Kong and Toronto. 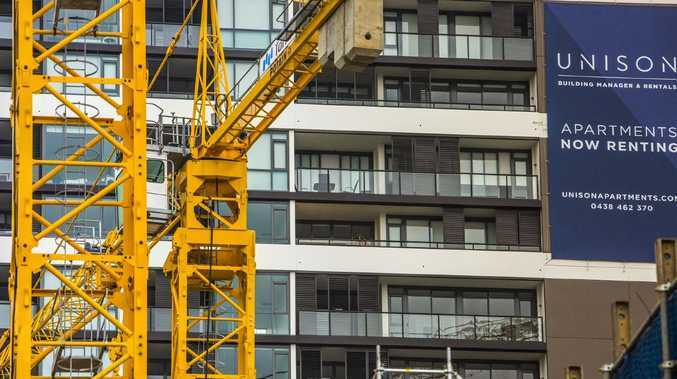 "Without significant improvement the high cost of construction will continue to act as a drag on overall global competitiveness," the report states. The construction industry in Australia employs more than a million people. Talking to news.com.au, Arcadis' Matt Mackey said Australia's natural disadvantage of geography was now being compounded by a surge in building. "Australia's geographic isolation means materials have to get imported so there's additional taxes, but there's also not the same level of competition. So in the UK and Europe, for instance, more companies are constantly competing for work." Mr Mackey said Australia also suffered from a smaller population of skilled workers. The more projects, the more thinly that workforce was being stretched. "In Sydney and Melbourne, you have governments pumping billions of dollars into infrastructure investment and that creates confidence that has a spill-over effect into commercial and residential property. "But as more gets built, the local labour pool gets very heated and that leads to skill shortages. As soon as you have a shortage of something, things starts costing more and contractors can cherrypick for work so they may choose to tender for only one in every four projects as they know they don't have to win the next job." In last week's Budget, the federal Government committed $24 billion to new road, rail and air infrastructure with Victoria a big winner. Australia's infrastructure explosion has seen very similar projects, demanding specific skills, being built simultaneously. In both Sydney and Melbourne, underground rail networks are under construction. Light rail systems are being built right now in Sydney, Canberra and Newcastle. "When markets get heated like this there's a threshold that's reached where projects stop preceding. They might get as far as the development stage and then they are put on hold while they wait for the price to drop," Mr Mackey said. And that means work in the industry can start to dry up. "That's boom and bust, with the bust being a correction in the market." 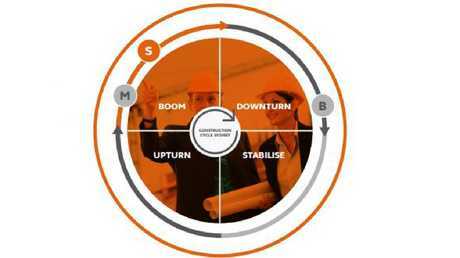 A chart in the report vividly illustrates the current Australian construction boom and bust cycle with Sydney at the peak of its boom. Of the trio, it is the city most in danger of entering a building bust. "Sydney is in the middle of the boom; Melbourne, which had been playing catch-up to Sydney in terms of federal infrastructure funding, is now heading into a boom cycle while Brisbane has almost the complete polar opposite and is coming out of a downturn because it's not had the same level of construction activity," Mr Mackey said. 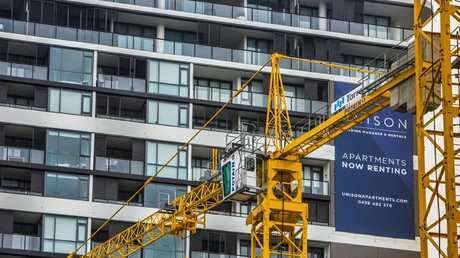 Brisbane's laggard position was an acknowledgment that a forest of recently built residential apartment has created a glut in the market. Nearly one-in-five flats are empty, prices are tumbling and projects are stalled. 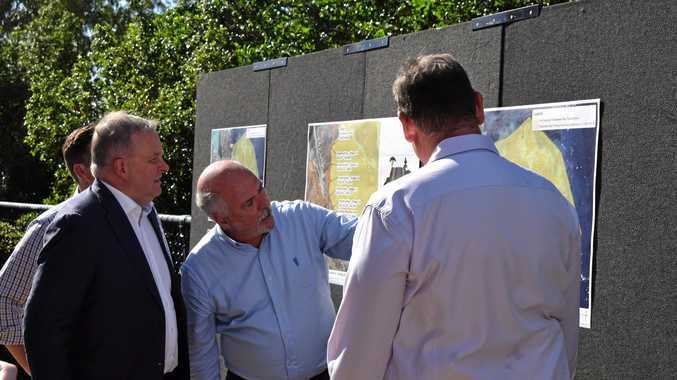 But with more money flowing into Queensland infrastructure from federal and state coffers, the city could - within the next few years - bottom out and climb back into boom territory. Mr Mackey was at pains to say that simply being in a boom didn't mean a bust was inevitable. But if Sydney wanted a lesson in what not to do, it only needed to look west. "In Western Australia, during the resources boom it was like 'let's build everything now' and then in three or four years it all crashed." 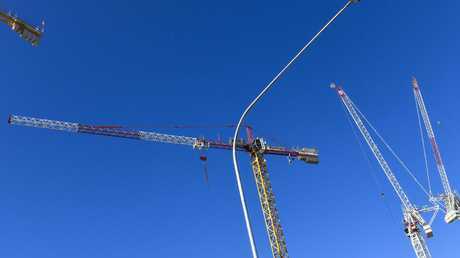 According to the most recent Commonwealth Bank State of the States Report, Western Australia's construction activity in the December quarter was 37.6 per cent below the decade average. The fall in construction work is one of the contributing factors towards Western Australia as the nation's most feeble economic performer. Mr Mackey said constant boom wasn't necessarily to be desired as it inflated prices. Rather a happy medium was to have major infrastructure spending spread out to keep building at an even clip. But the construction industry wasn't doing itself any favours relying on outdated, inefficient and costly ways of doing business. "Construction is one of the last disrupted industries when it comes to digital technology. It's still pretty much doing things the way it's been done for the last 20 years. "The way that process will be impacted is digital innovation and when that impacts processes, there will be less waste and more time to get things done," he said. "But it will be a brave individual who is the first to go down that avenue in this industry."